Loring Pack Basket is a small unassuming shop located just a stones throw from the Old Town Trading Post in Old Town, Maine. What the shop lacks in impressive size, it more than makes up for in the creation of a product big on quality and durability. A short while ago, I was fortunate enough to have a chance to stop by Loring Pack Basket and chat with Wane Loring the owner, designer and primary builder of these amazing pack baskets. 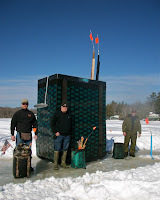 Wane is a registered Maine Tribal Guide and avid sportsman. As I chat with him, he points to several of his own personal specialized pack baskets, filled with gear for his various adventures afield, ice fishing, hunting and trapping. 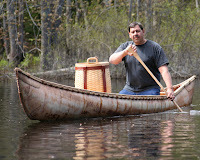 It is immediately apparent that Wane’s construction principals and pack basket designs are hard tested in Maine’s woods and waters, refined by actual sporting pursuits. 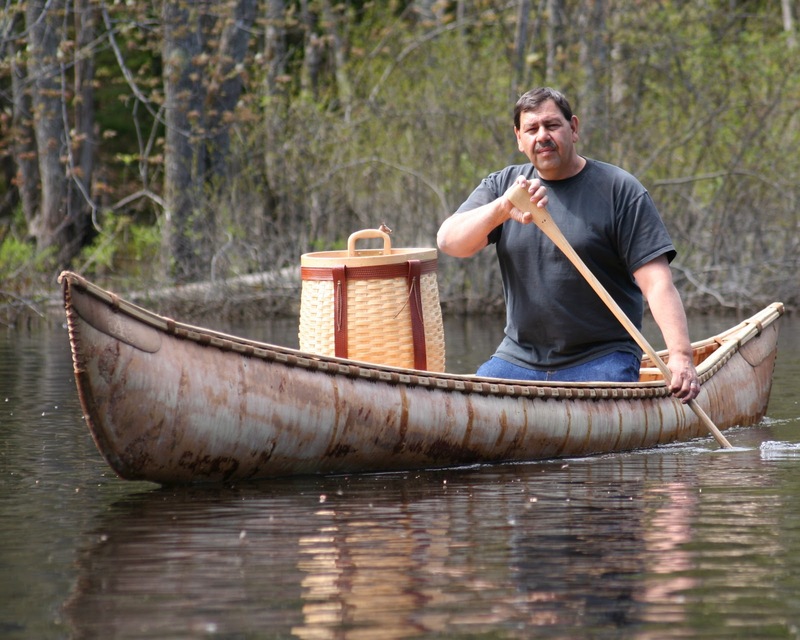 Wane’s understanding of pack basket construction is based on time tested traditional techniques passed down from father to son for centuries. This knowledge is apparent in his craft, as he painstakingly incorporates traditional Native American basket building skills with present day space age materials. The end product is an exquisite pack basket that is indestructible in all but the most dire of situations. These baskets have been run over by ATVs, hit by trucks, shot with rockets and basically torture tested in an attempt to find their practical limits. Wane jokes that if my pack basket gets caked in ice, I should simply beat it against a tree until all of the ice breaks off . . . try that with your old wooden pack basket! Wane is driven not by the construction of a product but how to continually make that product better. While talking, he described a laundry list of improvements to be incorporated in future models. Some of these modifications are ergonomic; others aesthetic but a majority are to provide the public with an extensive list of ways to personalize their pack baskets. As he describes the possibilities, I begin to see how much his ideas separate him from the current one size fits all mentality, seen in some of his competitors. Wane and his wife as well as a small contingent of workers, complete a majority of the pack basket construction processes. Wane mentions that he is potentially looking to expand his operations in the spring, a testament to the popularity of these pack baskets. 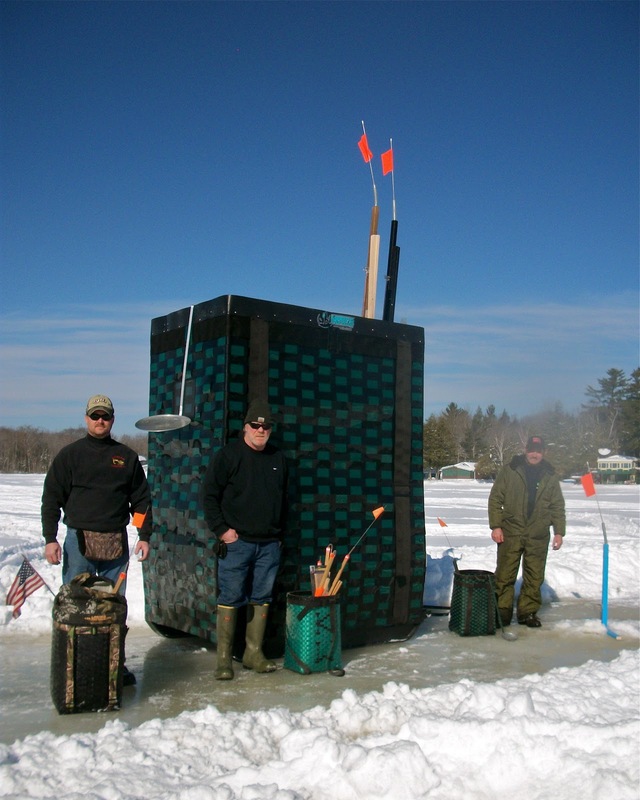 Popular at ice fishing derby’s and sportsman shows, the giant Loring black and green checkered ice fishing shack is a classic sight to behold. Complete with an enormous set of Heritage ice traps sticking out of the baskets top and an ice scoop hanging by the door that would take two men to successfully heft, it is a display well worth seeing. Wane hints he is planning to soon begin construction on another giant pack basket shaped ice shack, thought he suggests that the next one will be based on a more “traditional” design. If you are in the market for a pack basket and searching for a product that is indestructible, highly functional, comfortable and guaranteed to make you stand out slightly from the crowd, I strongly suggest dropping Wane Loring a line and ordering one of his indestructible pack baskets! For the traditionalist, wanting to own a true masterpiece, Wane also builds impressive hand made ash wood pack baskets upon special request! 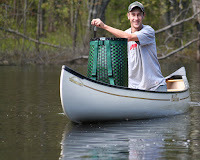 When you order a pack basket, please tell them the Rabid Outdoorsman sent you! Would you care to tell us about it? Maybe in confidence at Uncle Kim's? Rhon, This pack basket is truly amazing. While I do like the "original" wooden pack baskets this one is something that you will have forever. Loring pack baskets also makes handmade ash pack baskets made to order that are works of art. Check them out if you are in the market! Thanks for posting! There is a true durability to a traditional ash pack basket that has yet to be duplicated. It's nice to see that there are still locals keeping the craft alive. Great post. I have used Ash woods pack baskets for years. Though I love their "traditional" look, I am seriously impressed with the durability I see in the Loring Indestructible Pack Basket. Wane is a master craftsman and certainly understands that people like both types, he therefore makes both the ash and the composite model.